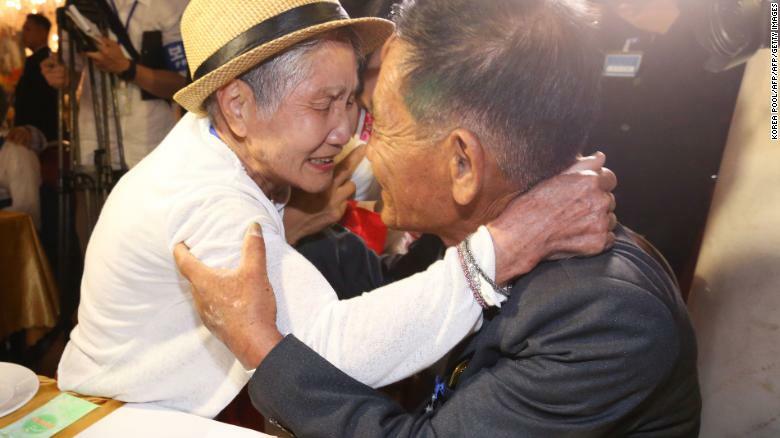 “Sang Chol!” 92-year-old Lee Keum-seom exclaimed, as she fell into her long lost son’s arms at a holiday resort in North Korean Monday. Sang Chol was four when she last saw him. He is now 71, himself an old man. On Monday he sat waiting for Lee’s arrival with his daughter-in-law. Lee was joined by her two daughters, who grew up in South Korea. 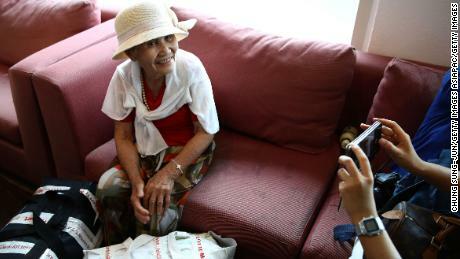 South Korean Lee Keum-seom, 92, meets with her North Korean son Sang Chol, 71, during a family reunion meeting at the Mount Kumgang resort on the North’s southeastern coast on August 20, 2018. 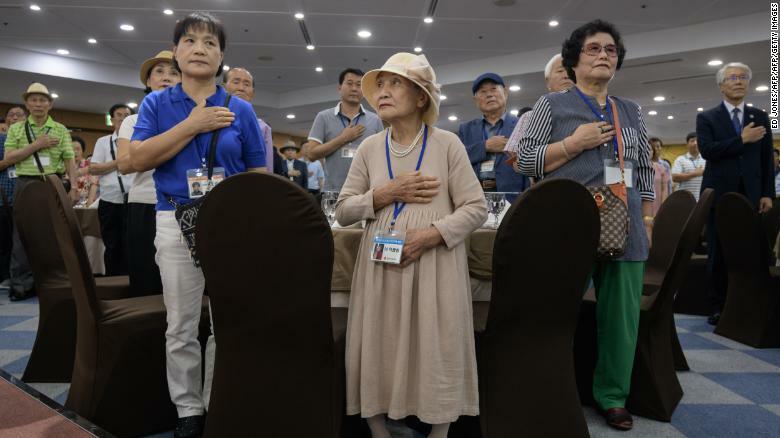 South Korean participants of the inter-Korean family reunions stand for the national anthem as they undergo a briefing on the eve of the departure for North Korea, at a hotel resort in Sokcho on August 19, 2018. Lee was one of dozens of South Koreans who gathered Sunday at the Hanwha resort hotel, in Sokcho, south of the demilitarized zone (DMZ) which separates the two Koreas, where medical checks were carried out and participants were warned about nuances of visiting North Korea. They’re told to avoid saying anything that could be misconstrued, or considered insensitive north of the border. They then registered their names and were invited to take a professional family photo in a corner of the lobby. It was then framed for them so they could then take it to North Korea as a gift. 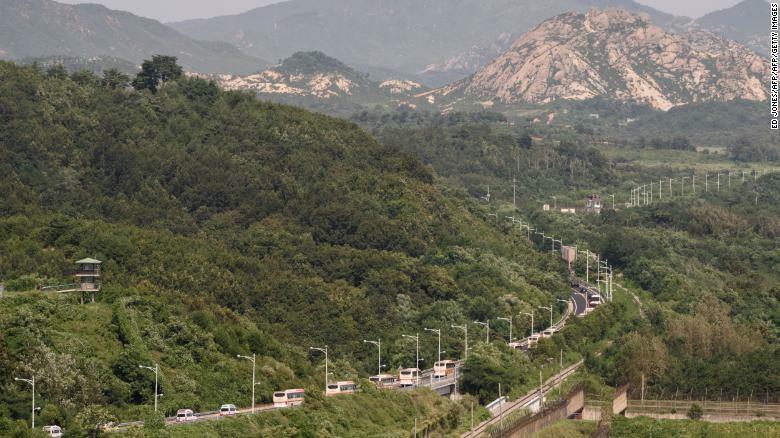 A convoy of buses carrying participants of an inter-Korean family reunion makes its way through the Demilitarized Zone (DMZ) towards North Korea. “I share fully with the disappointment of those who are not selected so I am trying with North Korean partners to try and find other solutions, huge numbers are waiting, the numbers are very much limited,” he said. In a statement Monday, President Moon urged both Koreas to work towards more reunions in future, noting his own family history as the child of North Korean refugees. 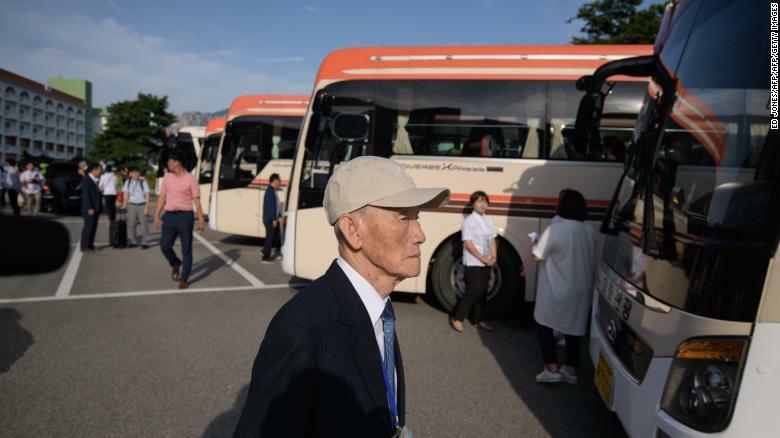 Dozens of elderly and frail South Koreans set off for North Korea on August 20 to meet relatives for the first time since they were separated nearly seven decades ago by a war that divided the peninsula and their families. As family members age, each delay adds to fears that they’ll no longer be around to finally meet with their long lost relatives. 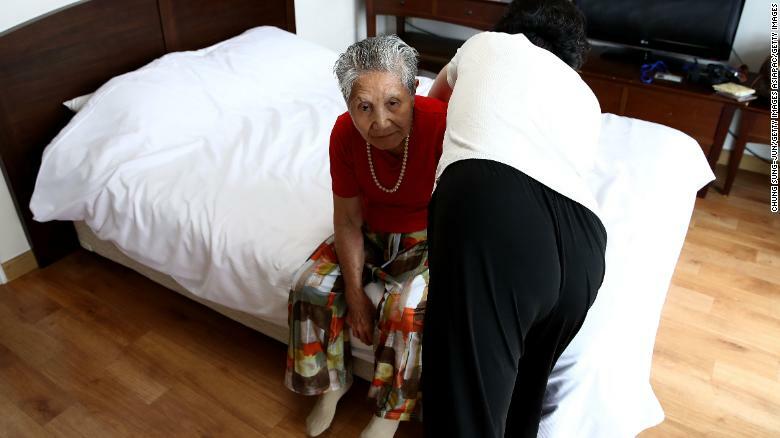 More than 75,000 applicants have already passed away since the reunion process began. One protester attended Sunday’s event to voice his elderly father’s case for a reunion, after the man was unlucky this round. Lee Keum-seom undergoes a health check as she prepares to head to North Korea to reunite with her long-lost son. The pain felt by the families split by the Korean War is one of the most visible legacies of the conflict which, 68 years after it began, still hasn’t technically ended. “The U.S. should implement phased and simultaneous measures, like the end-of-war declaration, to build mutual trust and make a breakthrough in the security of the world,” state media Rodong Sinmun said in a commentary. 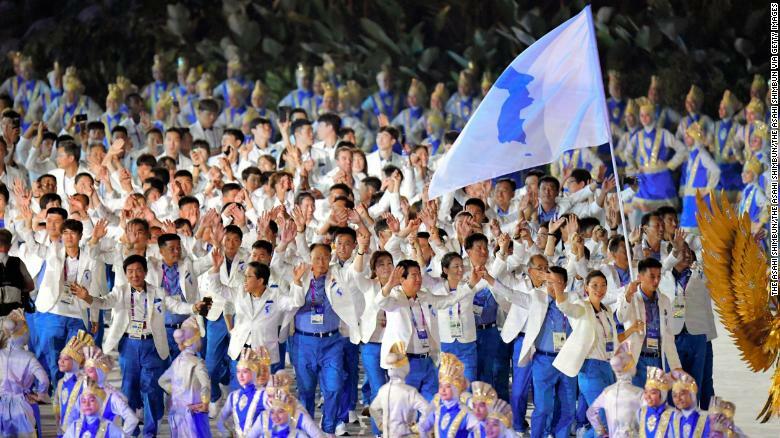 The Unified Korea delegation enters the stadium during the opening ceremony of the Asian Games 2018 at Gelora Bung Karno Stadium on August 18, 2018 in Jakarta, Indonesia. Correction: This story has been updated to correct who accompanied Sang Chol to the meeting.